When I first heard about this place, I knew I had to try it. C'mon, sweet AND savory sandwiches? You really can't go wrong with that. 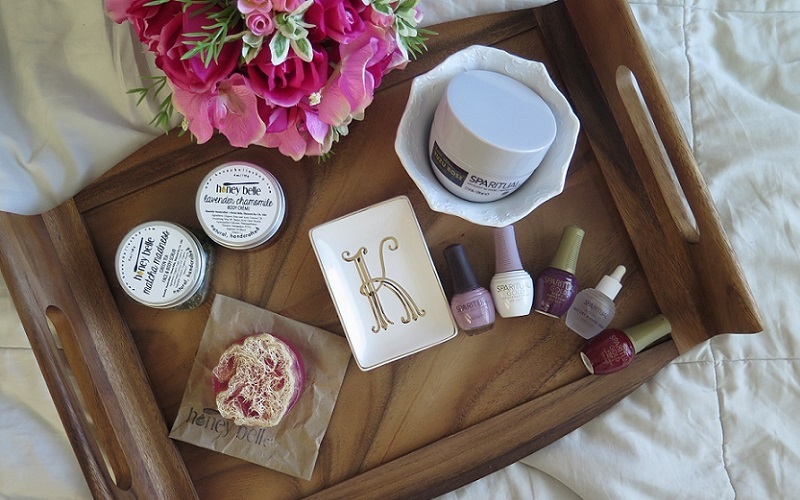 Ahem, The Iron Press, you were totally calling my name. 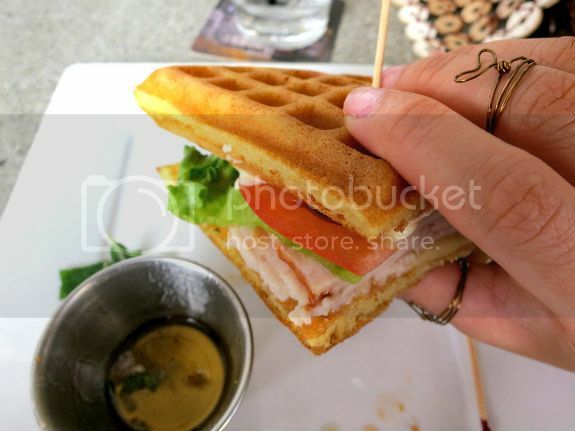 Smoked turkey waffle sandwich - there's smoked gouda in here but I actually ordered this because of the garlic aoili. Yummsss! One syrup sauce was not enough! I had to get some more because my sweet tooth was kicking in. Thank goodness they have such friendly service here and was very kind to help. 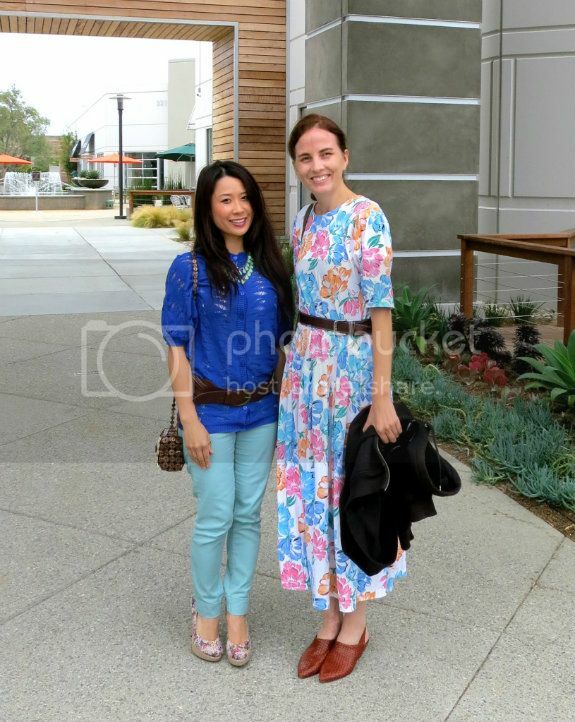 Enjoyed this tasty meal with my friend and fabulous fashion blogger Heather from LAFashionSnob! She ordered the veggie patty burger and said it was one of the BEST she's ever had. Oh man, I so have to order that next time! And another time I took my dearest Judith here because she's never been. We ordered similar waffle sandwiches that filled us up. 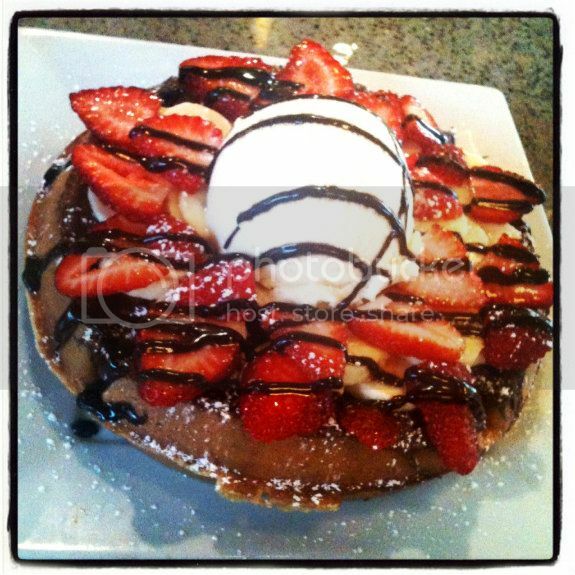 Then we saw their Belgian waffle + nutella + strawberries + banana dessert and our eyes told our brains to order it. That thing was HUGE! Honestly, I don't know how we ate it all but it was so worth it. Next time though, if you're going with someone, share a waffle sandwich so you can save room for dessert. 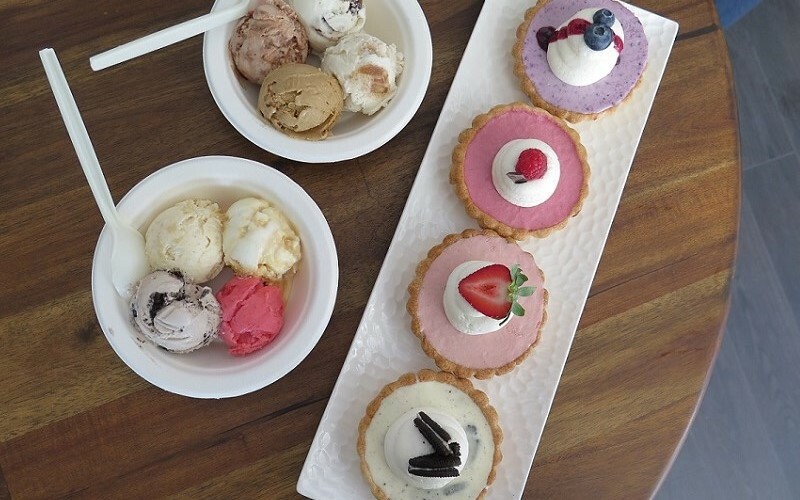 To sum it up, The Iron Press is the place to go to satisfy your sweet & salty cravings. Switch up your sandwiches with waffles and forget the bread! Once you've tried it, plain old sandwiches just won't be the same anymore...trust. They also have a wide selection of beers here for all you beer lovers out there (I'm more of a wine person, hint hint Iron Press: can you add some to your list?). So there you have it; go and get some Iron Press now! 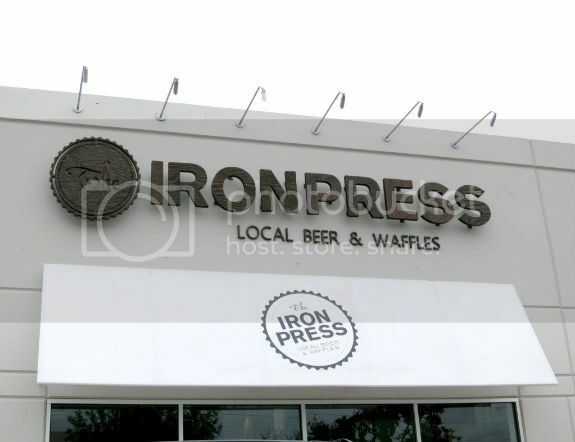 CHECK IT OUT: The Iron Press (at The OC Mart Mix), 3321 Hyland Avenue Suite E, Costa Mesa, CA. Tel: (714) 426-8088. That waffle is to die for!!!! 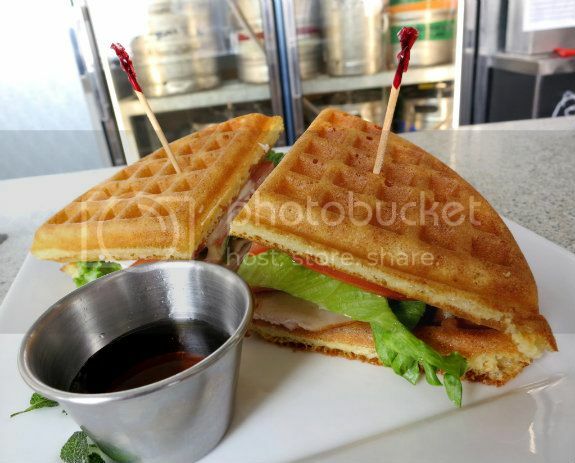 Oh my gosh that waffle sandwich looks so perfect that it almost looks fake haha.. 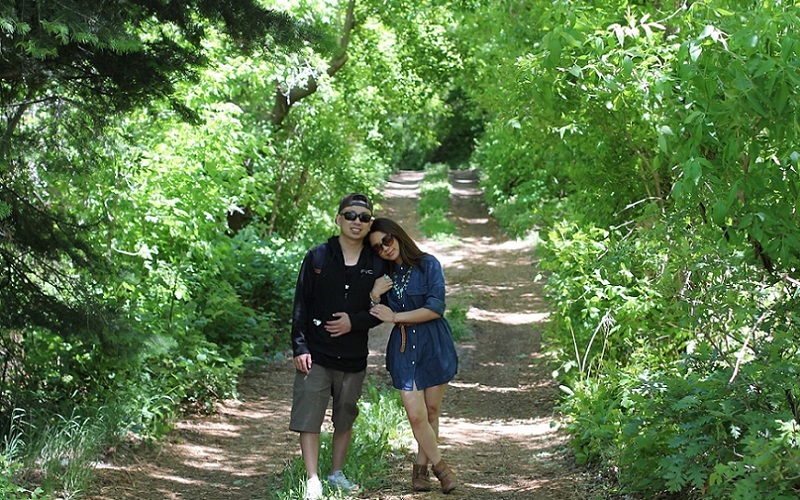 I have to go there sometime!! Sounds so good right now! oh my goodness, these pics look delicious!! waffle sandwich?? sounds like a dream!! 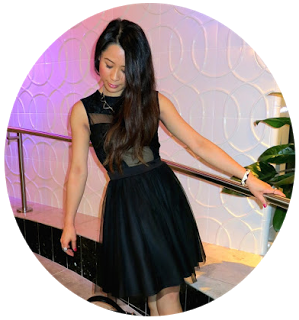 Outfit worn also look amazing. OMG I am totally gonna go there this weekend...Mmmmmm.